When John Kennedy was assassinated in 1963 the calls for gun control began to rise. In 1968 Martin Luther King was assassinated and the fires were stoked again. Then Robert Kennedy was assassinated and the calls to ban guns went into high gear. The liberal left has the idea that if guns were banned then there wouldn’t be any guns in the hands of criminals. The problem with that is that is why they are called criminals, they don’t obey the laws. The real reason about the so-called ‘gun control’ isn’t about gun control but completely about control. All evidence concerning the banning of guns and the reduction of crime points to a drastic rise in crime when guns are banned. Look at these facts. Chicago, Washington, D.C. and New York City would be the safest places in the world, if that theory was correct. In 2012 Chicago ranked number one in the world for alpha cities for violent death using guns. Chicago has the strictest gun laws in the country, yet they have 19.4 deaths per 100,000 due to gun violence. Last year 440 children of school age were shot, 60 of them dying. We decry the violence in Connecticut, as we should, but say nothing about the violence banning guns creates. Think about this, how many criminals using guns got to a gun-free school or theater and saw the gun free sign and said, ‘Now what do I do?’ No, they chose the gun free zone because they knew that no one would be firing back at them. We have to remember that Sandy Nook, the Aurora theater, Virginia Tech and Columbine are all gun free zones. Even our military bases are gun-free zones which is why Hassan was able to kill 13 people and wound 29 others. There were laws in place, but the criminal broke the law. Remember that is what criminals do. They don’t pay attention to the laws and any more gun laws that restrict gun ownership will also be ignored by the criminals. How do they think that taking away the ability for the innocent to protect themselves, by restricting gun ownership, does anything other than force them to be victims? Here are some statistics on the relationship of gun ownership to gun violence in the United States. 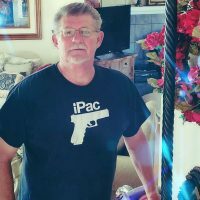 The United States rates number 1 of 178 in the world in personal gun ownership according to gunpolicy.org. There are 88.8 guns per 100 persons in America. The number of gun deaths per 100,000 in population in 2009 was 2.98. In China the average citizen in not allowed to own a gun yet in 2008 14,811 people were killed using guns. This is a nation where the average citizen is not allowed to own a gun and the number of deaths exceeded Americas rate where there are 88.8 guns per 100 people. The number of registered guns in China in .05 per 100. It is obvious that it is not the number of guns but in whose hands those guns are in. Canada has very strict guns laws and regulations. As an example, an n officer of the Court of Appeal of Ontario describes what he had to go through in purchasing a shotgun. “Buying a shotgun required me to attend a weekend long Canadian Firearms Acquisition Course (cost: $320), then apply to the RCMP for a Possession and Acquisition License, submit to a thorough background search, have my three references interviewed and an RCMP officer attend at my house to investigate my means of storage – a separate safe for the gun and ammo AND a trigger lock. Then, a 28-day waiting period.” (http://www.nowtoronto.com/news/story.cfm?content=190379 ) He went on to state that as a practicing attorney in Toronto for 20 years he was never involved in a case where a criminal used a legal gun in a crime. That is another fact that the left seems to ignore and that is that almost all guns used in crimes were illegal, stolen, black market, etc. Australia has strict gun laws and they have experienced an explosion in black market gun sales along with the refusal of the media to properly report the disastrous results of their gun ban. From an article the Daily Caller: ” Take Melbourne, Australia’s second most populous city. Between January 16, 1998 and April 19, 2010, 36 criminal figures or partners were murdered during the Melbourne Gangland Killings. To concerned Victorians, too, it felt like our criminal class was running the state. The problem though (in Australia at least) is that campaigning newspapers and television networks are never wrong — no matter how many people are killed or threatened by guns, there’s always a “complex” excuse. The odd thing about gun control is that a culture of censorship often increases after anti-gun laws fail to deliver. So, it would be hard for an Australian writer to submit a piece on Switzerland’s pro-gun ownership culture and low gun crime rate because our media isn’t “ready” to accept opposing views. Only a “thought control” culture can sustain a “gun control” culture. The refusal of the left to consider the obvious results of banning guns should be a criminal offense itself. Forcing people to become victims by removing their means of protecting themselves should be criminal especially in a nation where it is a constitutional right to own a gun. All places that have restricted gun rights and gun ownership has a sharply high rate of crime simply because the criminal knows that their victims, being law abiding citizens, would be unarmed. Many of these laws are archaic at best. In England where it is illegal to own a gun a man found a rifle in a trash bin and took it to a police station so it would not get into the hands of someone who would do something violent with it and the man was charged with being in possession of an illegal gun. Stupidity! In Chicago when you were not allowed to have a gun in your home, this was overturned in 2011 by the Supreme Court of the United States, a man was robbed in his home 4 times and finally got tired of it, bought a gun and shot the next person that tried to rob him. He was charged with assault with a deadly weapon for simply defending himself and his property with something that our Constitution guarantees us the right to own. 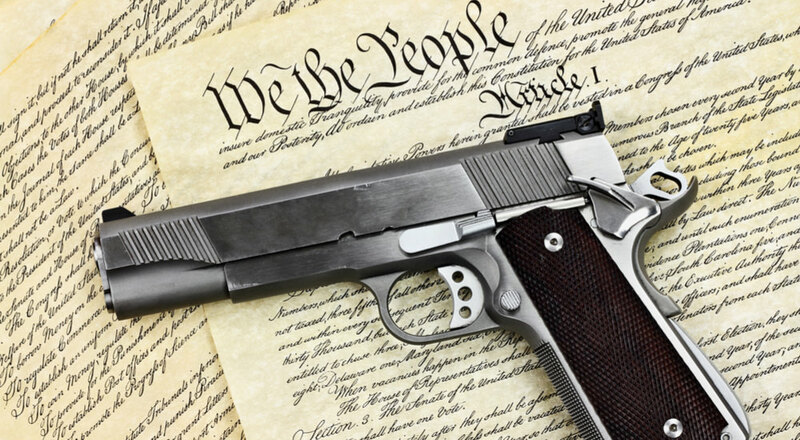 Chicago has a ban on conceal carry that was just overturned by a district court and the city is appealing that decision because they do not want the citizens of Chicago to own or carry guns even though they have the highest crime rate involving criminals with illegal guns in the world! In San Antonio a couple days after Sand Hook shootings a man opened fire in a theater and was taken out by a woman with a legal concealed carry gun. He was only able to shot two people and both will recover. You notice that the MSM did not report this. Nor did they report a few days later in Phoenix when a 14-year-old boy babysitting his three siblings shot an armed intruder. In 2009 in Columbia, S.C. a gunman attempted an armed robbery when one of the people he was trying to rob pulled out a legal conceal carry gun and shot him. The robber was the only one hurt. Think about how many did not die in the theater in San Antonio. That the 4 kids were not hurt by the armed intruder in Phoenix and the how many did not die in the robbery attempt in Columbia, S.C.
America is number one in individual arms possession and we have the lowest per capita murder rate of any nation in the world considering the number of arms the individuals own. I have not been able to find an account of a person with a conceal carry permit using his gun for a mass murder, not one. To declare that more conceal carry permits will bring more mass murders has no basis in fact. Creating more gun-free zones will create more mass murders and that has a basis in fact; Columbine, Virginia Tech, Aurora theater and Sand Hook. We cannot let the left-wing politicians in Washington and the people like Mayor Bloomberg and Governor Cuomo steal our rights and privileges that will force us to become victims of the lawless. Stand firm, your life may depend on it.